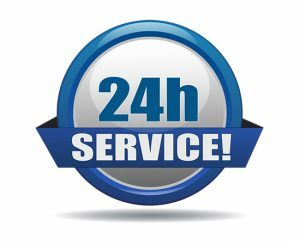 Are you looking for a 24-hour emergency plumber in Hampshire? Look no further. we are the leading experts in the local area. If there is an emergency just call 07852 583 351 for a fast response plumber or gas engineer. We are available for any plumbing emergency in Hampshire 24/7, 365 days a year. Our local emergency plumbers deal with leaks through ceilings, burst pipes, leaking radiators, central heating problems, pumps, cylinders, tanks, showers, float valves, drainage problems, blocked toilets, float valves and much, much more. We also deal with all the basic plumbing repairs that specialist plumbers may be reluctant to do, such as dripping taps, leaking pipes, blocked internal pipes, bleeding radiators, changing taps, faulty toilet cisterns, gas leaks and boiler breakdowns. Here at Emergency Plumbers Hampshire, we understand that sometimes you need minor emergency plumbing jobs done that you either can’t do yourself or don’t have time to tackle. We’re one of the most trusted emergency plumbers in Hampshire who are available to help 24/7! Armed with a comprehensive set of tools, we are experts at carrying out plumbing and gas repairs, efficiently and cleanly.